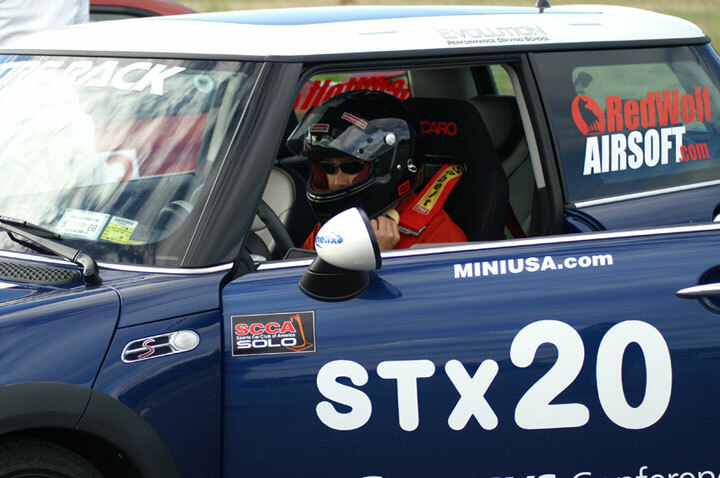 RedWolf is the proud sponsor of Mini USA SCCA racer Mr. Aaron Shea in the 2006 National SCCA Championships. 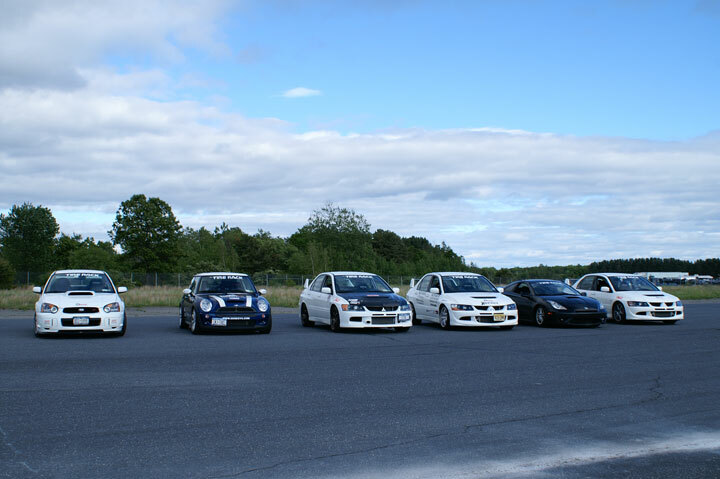 Like Airsoft, SCCA is an adrenaline pumping sport that attracts thrill-seekers nationwide in the USA. 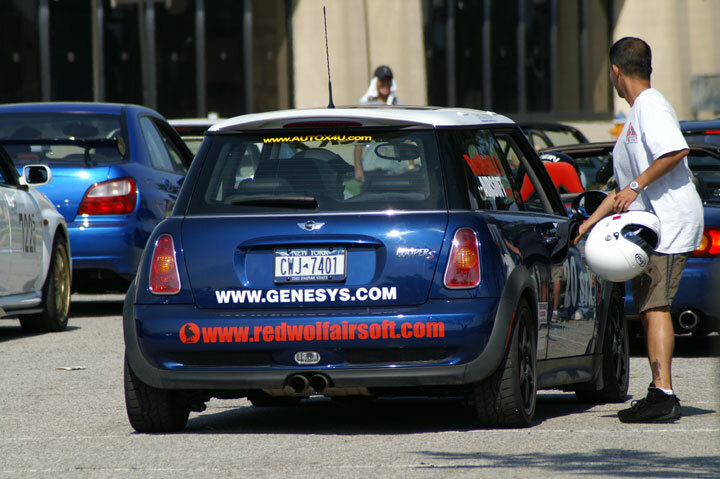 What do airsoft and racing have in common? 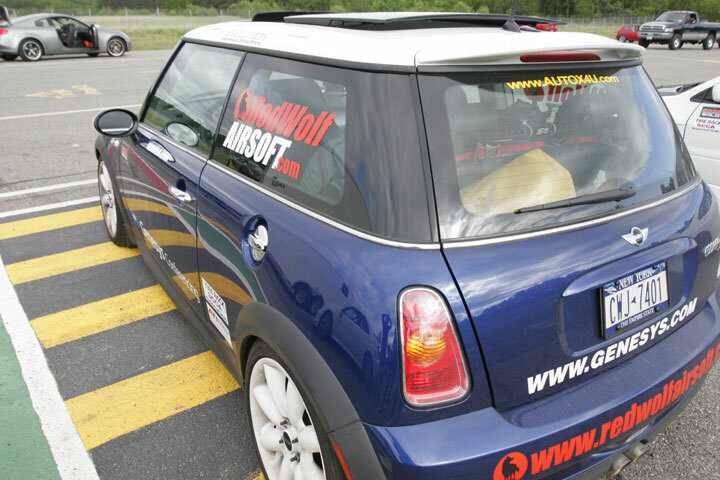 You may be surprised but many of RedWolf's airsoft customers are also keenly into auto racing! 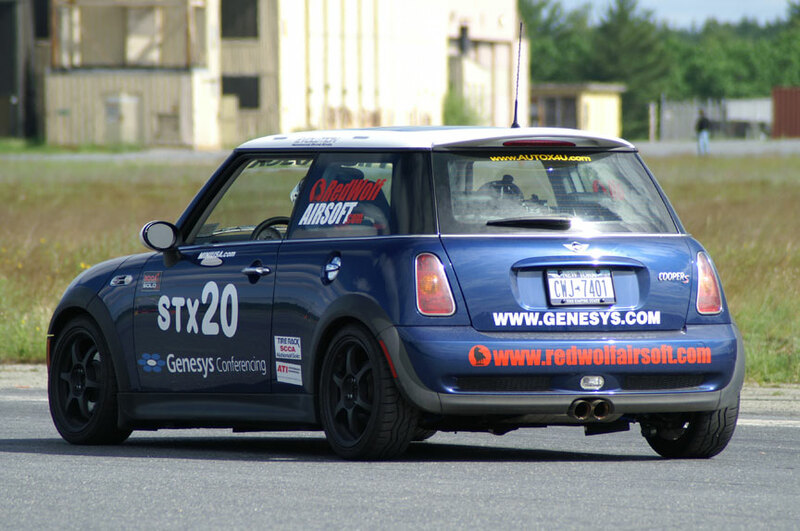 In fact, Aaron is also an avid airsofter and spends as much time on the trigger as on the steering wheel! 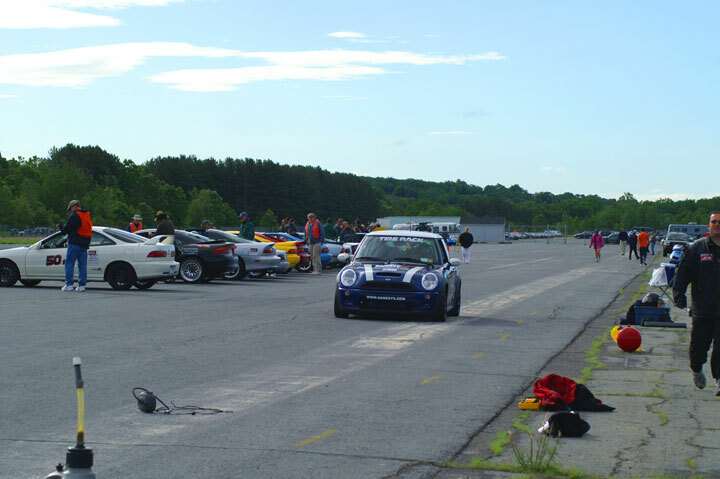 Each year, more than 300 drivers gather to compete for the National Solo Tour Racing event. 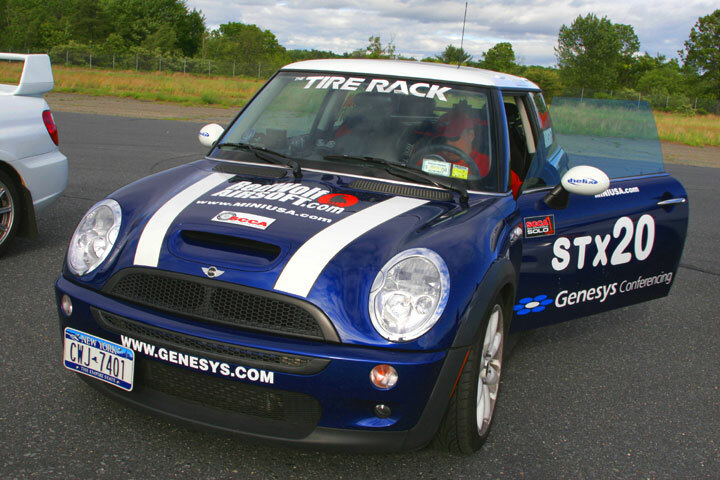 Mr. Shea is a Northeast Regional Champion in his class, and proudly raced with RedWolf colors on his race-spec midnight blue Mini Cooper S. Co-sponsored by RedWolf Airsoft, Mini USA, Genesys Conferencing Systems, Tire Rack, and AutoX4U.com, Mr. Shea placed an overall 8th in his class at the National Solo Tour championships. 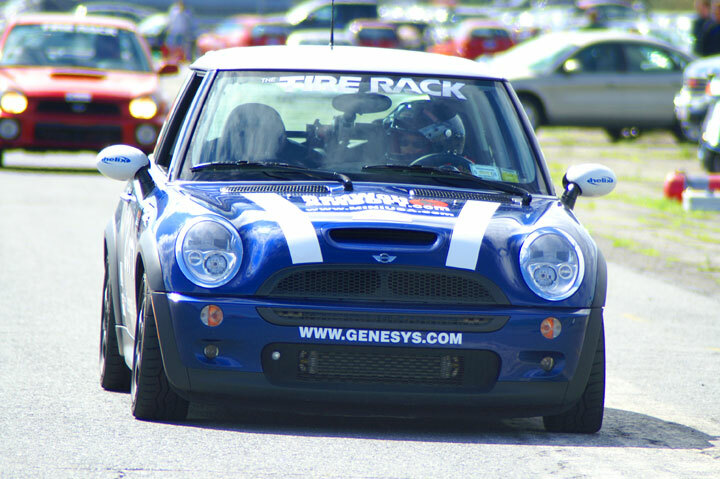 Mr. Shea has gone on to win the North Jersey Regional Championships. 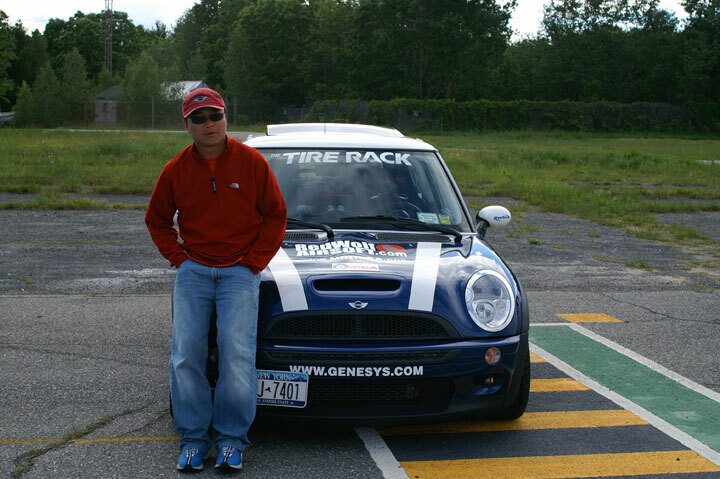 Congratulations to Aaron and his crew! 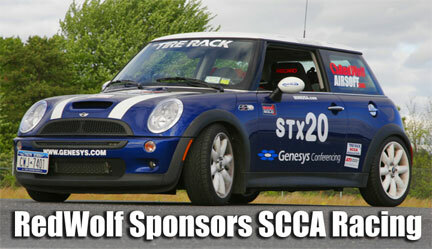 If you live in the USA and are interested in getting into club racing, visit www.scca.org.